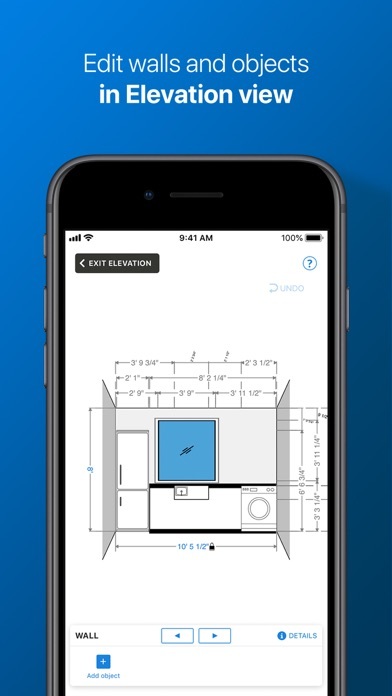 Create floor plans simply with the camera of your mobile device. 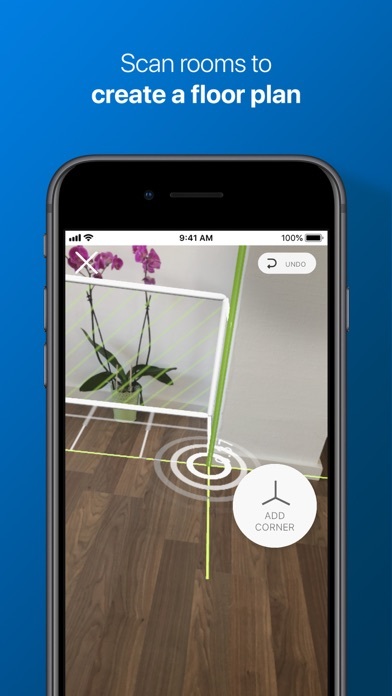 Scan a room in up to 30 seconds and build up complete floor plans in minutes. 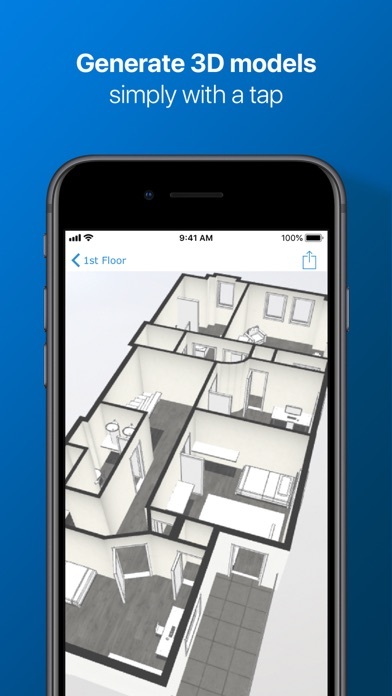 A floor plan is your starting point for included features like material & cost estimation, 3D models, and virtual tours. 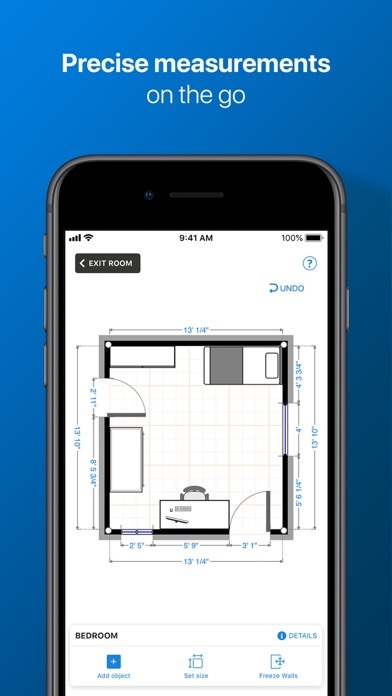 Features • Create floor plans with the camera of your mobile device • magicplan automatically detects and captures windows and doors • Measure ceiling heights • Draw floor plans • Connect a laser distance meter via Bluetooth • View plans in 2D and create 3D models • Export plans as PDF, JPG, PNG, SVG, CSV, DXF • Compatible with Excel, AutoCAD, and Chief Architect • Furnish your plans with over 1000 objects (furnishing, plumbing, electrical, etc.) 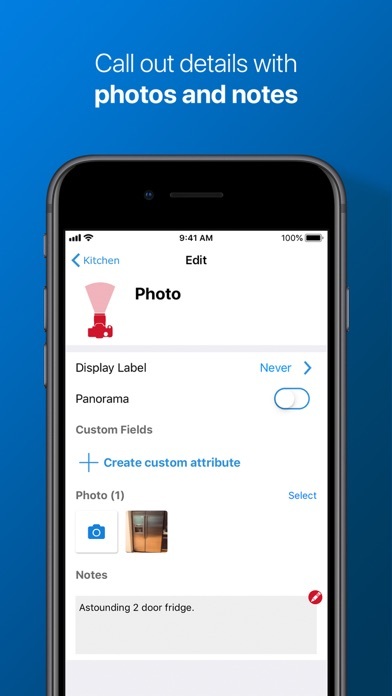 • Create your own customized objects • Synced Elevation view • Create virtual tours with 360 panoramas • Add photos and notes • Get statistics automatically (distances, surroundings, surface) • Estimate materials and costs with customized price lists • Conduct surveys with customized questionnaires • Backup floor plans or manage your team on the Cloud magicplan is renowned worldwide: • Downloaded by over 17 million users • Best of the year 2012 and 2017 • #1 iPhone Utilities in 76 countries • #1 iPad Utilities in 104 countries • Every day the equivalent of a small city is mapped with magicplan Training session available in English at https://www.magicplan.app/training/ What’s free: magicplan is free to download and use on your device. What has to be purchased: • Some objects are locked. 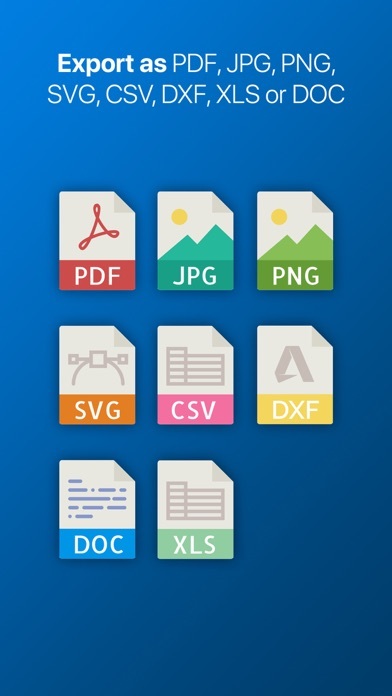 • Getting PDF + JPG + 3D + Interactive Website + DXF + CVS + PNG + SVG. • Commercial use. 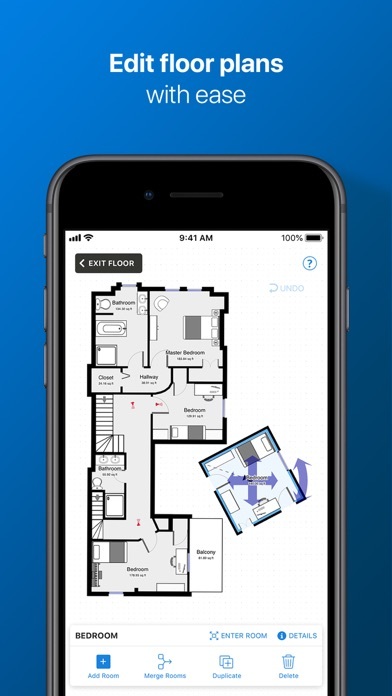 Purchasing options: • Buy: Purchase one floor plan at a time for $2.99. • Subscription: While your subscription is active enjoy an unlimited usage for $9.99/month. Payment will be charged to iTunes Account at confirmation of purchase. Subscription automatically renews unless auto-renew is turned off at least 24-hours before the end of the current period. Account will be charged $9.99 for renewal within 24-hours prior to the end of the current period. Subscriptions may be managed by the user and auto-renewal may be turned off by going to the user's Account Settings after purchase. No cancellation of the current subscription is allowed during active subscription period. Supported laser distance meters: • HILTI PD-I • BOSCH GLM 50 C, GLM 50 CX, GLM 100 C, GLM 120 C, PLR 30C, PLR 40C, PLR 50C • DeWalt DW03201 • Leica Disto D110, D510 (Europe), E7100i, E7500i (North America), D810, D1, D2, X3, X4, X • Stabila LD520, LD250 BT • WDM 8-14 magicplan technology is protected by multiple patents. App I always wanted !!! As a home inspector I always wanted to optimize my work and do away with post-survey CAD drafting. But all apps I’ve tried were not though through and filled with bugs. This app finally delivered what I needed!!! Developers are either very smart or pay a lot of attention to customers feedback. Thank you guys!! 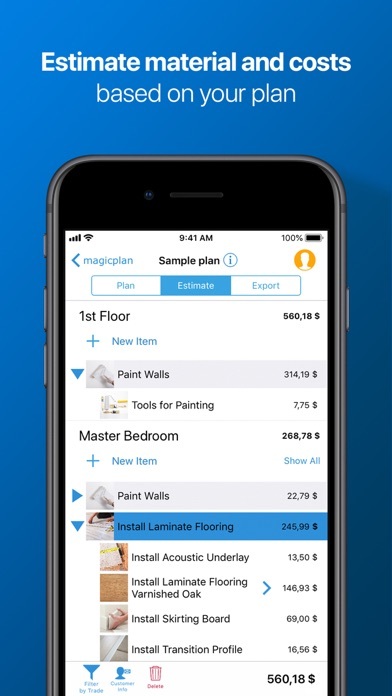 We use magic plan to quickly measure and dimension home improvement projects. Magic plan has become an indispensable Measure and sales tool. Easy to use with a great big WOW factor with our Customers. Just hope our competitors never learn about this product ! Decent app, but not as intuitive as it ought to be. There are no written instructions, only videos, and they aren’t always clear enough. 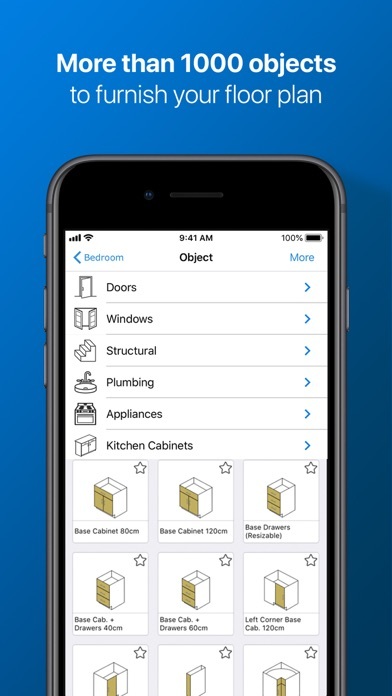 This app was simple to use and had a ton of options to choose from when designing your rooms! Dually noted, Really cool and functional. With free version you can do a whole lot, I'll buy the upgrade just out of appreciation. Can’t Connect to my account. I was really excited to use this app for an upcoming project, but as soon as I tried to e-mail myself the PDF, it failed. I haven’t received any confirmation email for creating my account or PDF’s of the project I did create. I tried to take a screen shot since I needed the plans asap, but was blocked by the app’s disclaimer to not take pictures. I’d probably really like this app, if it actually let me use it in a helpful way... Also, the support button does not work. I would’ve just e-mailed support, but it did not even give me the option.